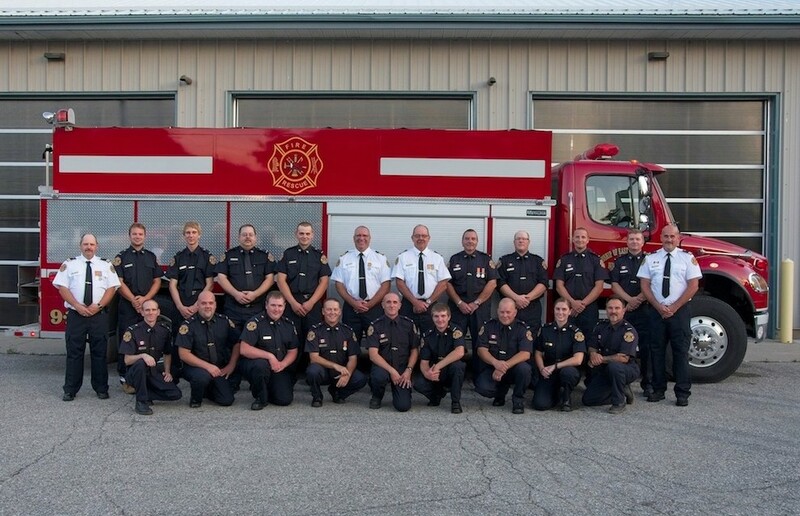 Six new grants were announced today to volunteer fire departments from all over Ontario. The first grants last year were a test run and now we are on a roll and it won’t be long before the next application period will be starting. I called each department myself and loved sharing the news that new equipment would soon be on the way. Pictured above is the team of volunteers from the Township of East Zorra-Tavistock, recipients today of a $5,000 grant. 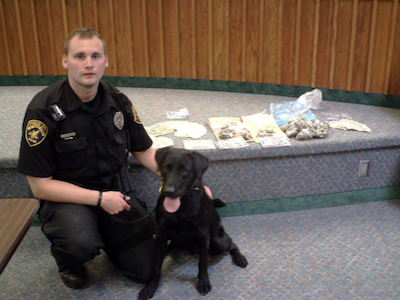 These grants covered everything from thermal imaging cameras to gas detectors to radio equipment, all things that will keep the volunteers safe and help them better serve their communities. 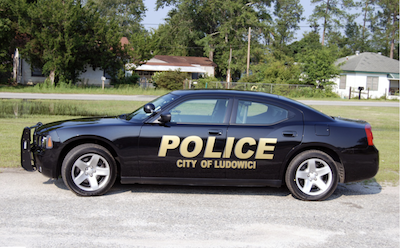 For more on each community and to see their stories, just go to the home page or click here. There’s lot more detail on these grants on the O.A.F.C. website. Click here. For anyone wondering why it’s bad to block a fire hydrant, the owner of this car can explain. 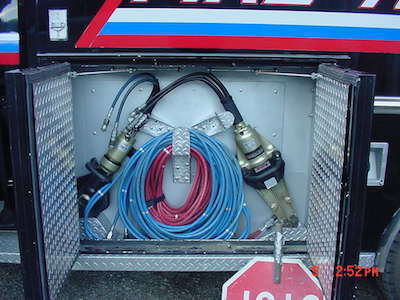 The fire hose had to be strung through the back seat of his car. 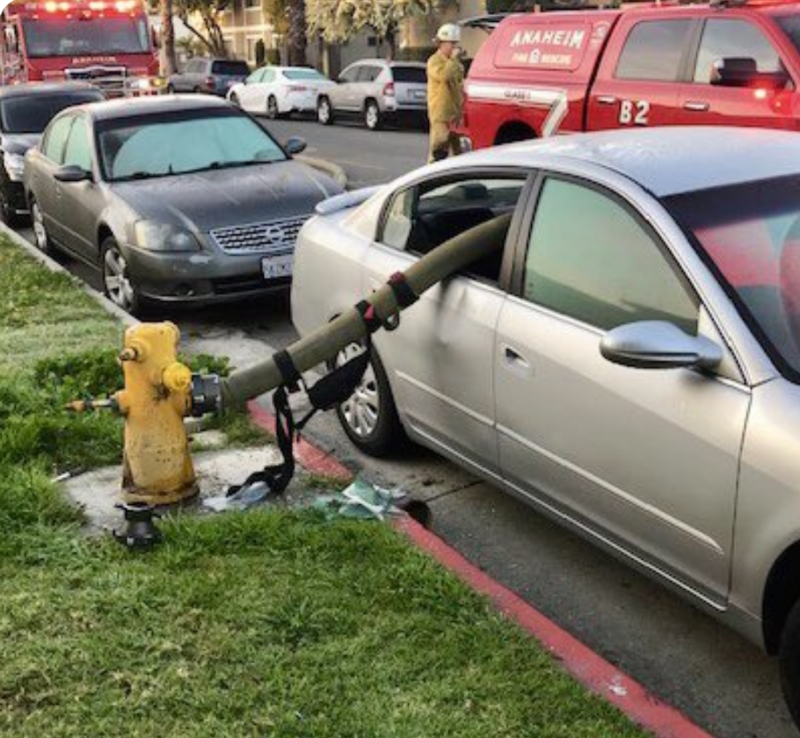 California’s Anaheim Fire & Rescue Department warned drivers this week on what happens when a car is parked in front of a fire hydrant and a fire breaks out. “Is a closer parking spot worth the broken windows and the citation and towing fees?” they said. “Please do not park in fire lanes.” This photo makes that abundantly clear. 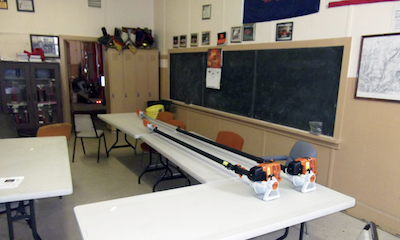 The first of three grant opportunities this year is underway. The January applications are in and currently being reviewed and the winners will be announced on or before March 4th. 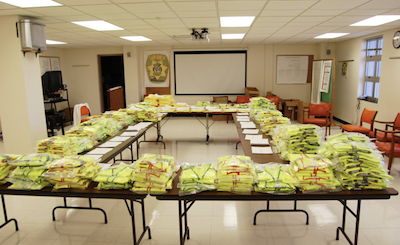 I am really excited to be providing more safety equipment to the Ontario volunteers. 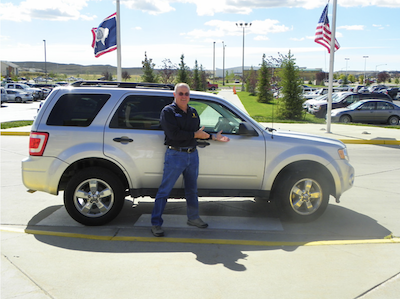 The next opportunities will be on May 13th and again on Sept. 9th. You can find more details about these grants on the OAFC website. Click here. Look what Santa brought me for Christmas! I am now an O.A.F.C. Honourary Chief and what an honour it is. I suspect that Santa must have gotten a letter from one Michelle O’Hara at the O.A.F.C. so Michelle and/or Santa, thank you very much! The opportunity to apply starts January 7th. There is a 1-month window for submissions. The submission window closes on February 8th. I’m really looking forward to seeing what the needs are and where I can provide the most help. I am very excited to finally reveal the six winners of my first Jenny’s Heroes CANADA grants. It was supposed to be one grant of $25,000 but we got so many more applications than expected, that I doubled the amount to $50,000 this time. 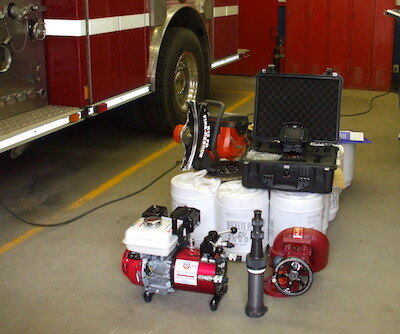 The extra $25,000 allowed us to spread the aid to several smaller fire departments as well. The applications were carefully reviewed by a qualified panel in Canada and by me as well. To see all the winners and send them your congratulations and messages of support, click here. The winner of the first Jenny’s Heroes Canada grant will be announced on Tuesday, October 9th. It’s taking a little longer due to the overwhelming response – over 100 applications! Each application has been reviewed by a qualified panel of 4 people in Canada and I also reviewed every single one. Between all of us, we have finally agreed on where the first grant should go. I can hardly wait to share the news! ????‍???? ???? Here is the place I grew up. 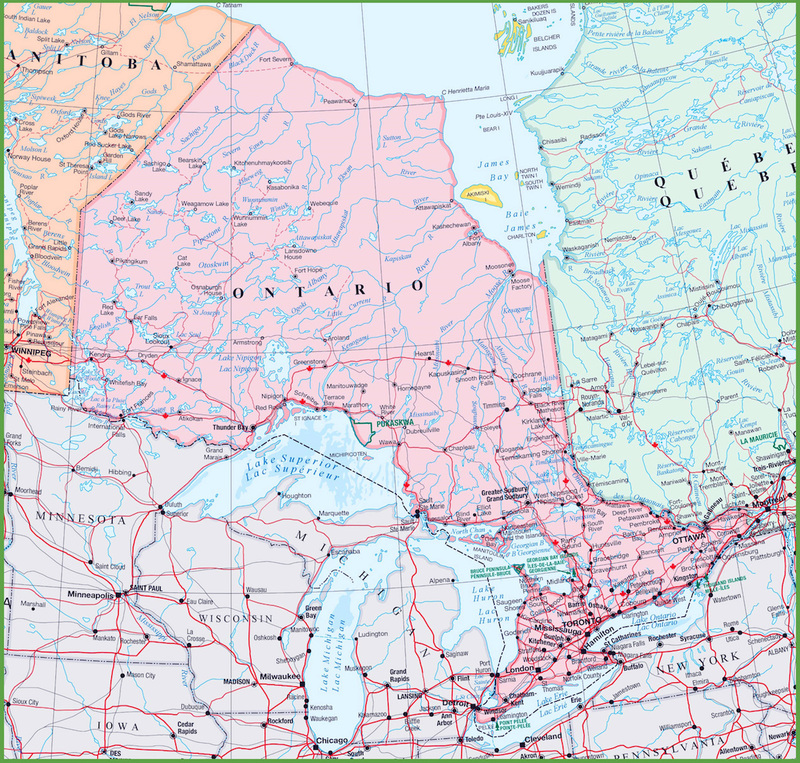 The beautiful province of Ontario, Canada is one of ten provinces and three territories that make up the country and of course, Ontario is the best one! ???? Of the 2 million beautiful lakes in Canada, 250,000 are in Ontario, along with moose, elk, timber wolves, bears, caribou and more, especially farther north. All of this land and wild life is vulnerable to fires and there are hundreds of teams of volunteer firefighters all over Ontario ready to jump in during an emergency. Whether it be a fire or a highway crash, water or ice rescues, or any medical emergency, volunteer firefighters are on it. I respect their commitment to their communities and the risks they are willing to take. I have a profound respect for anyone who chooses a life of service to their community and even more so when the risks are great. That’s why I have offered a grant of $25,000 to support the small volunteer fire departments in Ontario, the province where I grew up. Not knowing where to start, I contacted the Ontario Association of Fire Chiefs last month and got a warm reception from Executive Director Richard Boyes while I shared with him my desire to help, and he in turn provided a lot of helpful information about the needs of Ontario’s volunteer firefighters. I knew this was going to be good. We decided to call it Jenny’s Heroes Canada because anyone who chooses to help their fellow citizens is a hero and I love Canada and want to help where help might be needed. 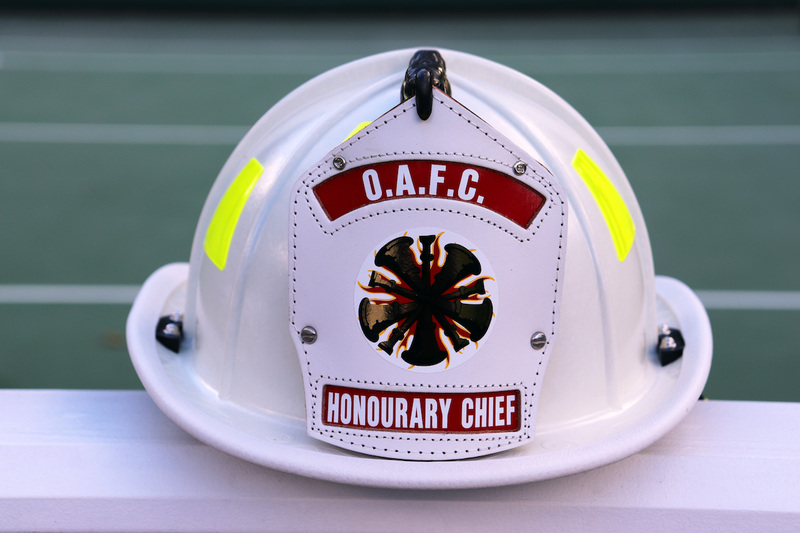 Simply put, this grant is for the purchase of equipment to support and keep safe the volunteer firefighters who serve in Ontario. 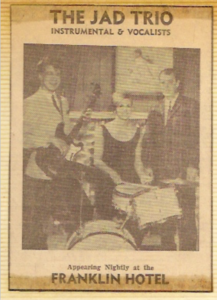 My career in show business began in Ontario in 1960s and took me all the way to the Jenny Jones Show, which was nationally syndicated from 1990 to 2003. So now I want to give back. To learn more about the $25,000 grant from Jenny’s Heroes Canada, click here. 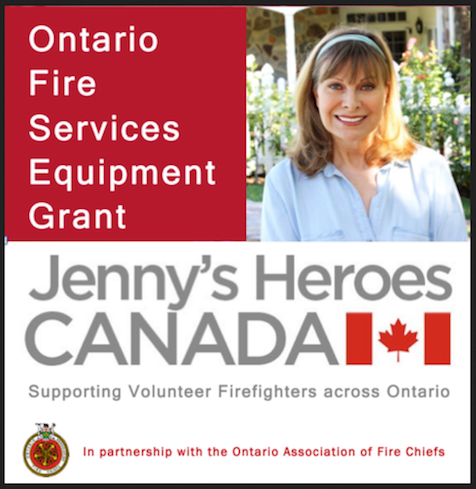 Find all the information you need about the Jenny’s Heroes Canada Ontario Fire Services Equipment Grant by visiting the OAFC website. Copyright © 2019 Jenny's Heroes Canada. All rights reserved.